I can safely say I think most of my UK followers will agree that come May we are all going crazy with the lack of sun, therefore, my recent trip to Miami was exactly what the doctor ordered, to top up my vitamin D levels! If you haven't been to Miami, OMG GO!!! 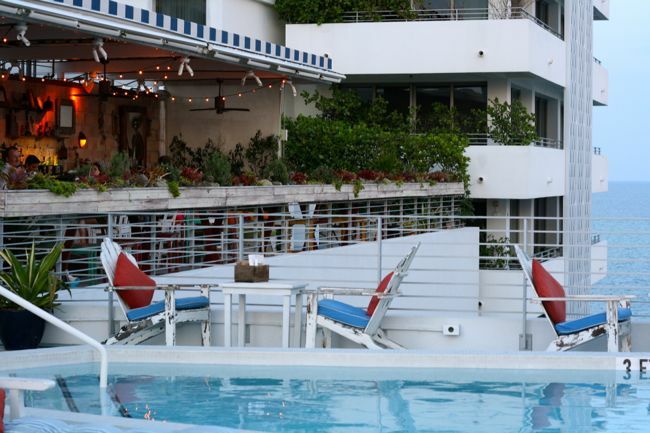 It's the most incredible place, we stayed on the well known Miami Beach at Soho House and did pretty much nothing but sun-bake and drink cocktails! If you follow me on Instagram or Twitter you would have noticed a few of these sickeningly beautiful shots of the beach and club house pop up from me! Awesome sunnies are a must for Miami and I have to admit I'm a bit of a sunglasses geek/collector - currently obsessed with the brand Finest Seven, they also have the coolest story behind them! For the first few days walking around beach/club house a kaftan was an absolute must, not only to cover my very ghostly white 'english' skin, but also because it was so darn hot developing the look of a lobster was very easy!!! If you're looking for a really nice one, check out James Lakeland, he does the most beautiful fabrics and prints. I'm wearing: Kaftan Top, James Lakeland. Sunglasses, Finest Seven. 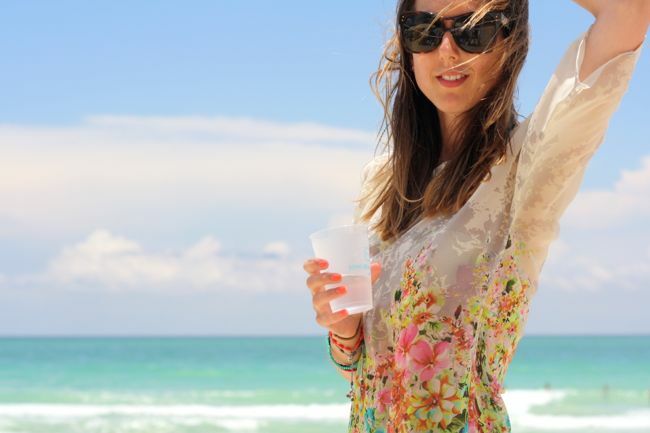 This week on the blog is Miami week.. I will be sharing; what I wore, who I stalked, which brands I stalked and generally the coolest things to do and see if you are planning a trip there, which is a must!! Stunning look, and you look amazing in those glasses! where can i buy them from? Yeah, Miami. Love these photos! :) Want to go there once. great photos, hope you have an amazing time! you look amazing !love it! Stunning pictures you look amazing! Love your blog by the way! That kaftan is absolutely gorgeous! I LOVE IT!! So hanging out for my next trip to the beach - can't wait! Lucky you, have fun !! Wow! I am a huge fan of florals and that dress is absolutely amazing! These are so fabulous! I haven't made it to Miami in at least a decade, though I was in Orlando a few years ago for the last space shuttle launch!